Climate change is beginning to affect the agricultural sector in Brazil, with potentially adverse impacts on food security and the availability of water resources. In this context, ongoing biofuels expansion may cause further pressures on land use management. Biofuels play an important role in the context of climate change. Limiting global warming by 2100 to +1.5°C to +2°C, as agreed at COP21 last year in Paris, will require ambitious actions in the land use and forest sectors (e.g. deforestation reduction in tropical forests) and energy (e.g. transitions to sustainable biofuels). A key question that this project addresses is: will it be possible to increase the production and use of biofuels (including a likely increase in the area of agriculture for this production) without adversely affecting other uses and services (e.g. food production, water security or pressures on the agricultural frontier)? This project aims to inform policymakers and stakeholders on potential biofuels expansion scenarios in Brazil under climate change until 2030 to support sustainable adaptation in the agricultural and bioenergy sectors. The project relies on integrated modelling and interdisciplinary research on energy, land use and water topics. Using a broad set of policy scenarios until 2030, we aim to identify possible synergies between those sectors while avoiding negative trade-offs—for example, impacts on food demand prices due to increasing demand for biofuels. Projecting agricultural productivity under climate change. Estimating biofuels expansion and land use change through to 2030. Modelling water flows in water basins with significant biofuels expansion. Macroeconomic assessment on welfare and food security impacts due to biofuels expansion. Research on community perceptions on land use change and biofuels. This approach is supported by a stakeholder network and knowledge dissemination strategy in order to integrate expert knowledge into the analysis and facilitate dissemination of project results to policy planning and sustainability initiatives. Crop productivity is expected to decrease significantly (increase in the case of sugarcane) as a consequence to climate change. But estimating these impacts is difficult for Brazil due to data limitations. This research line clarifies the links between crop productivity (biofuel feedstock, other crops) and changes in precipitation and temperature for all geographical regions in Brazil, and then projects crop productivities into the future (2007-2043) based on existing IPCC climate scenarios (RCP 6.0). Ongoing work focuses on applying FAO methodology for estimating evapotranspiration and yield reductions due to lack of rainfall as a proxy for measuring climate impact on crop productivities. Biofuels are relevant in direct and indirect land use change. For example, expansion of bioenergy feedstock (the range of sources from which biofuels can be converted, including vegetable oils, animal fat and sugarcane) can push up prices for food affect food, or increase deforestation pressures in the Amazon region. This research line estimates probable spatial biofuel expansion scenarios and of other agricultural/forestry activities until 2030, integrating the impact of climate change through crop yield functions. Alternative policy scenarios (e.g. increased vehicular efficiency in transportation sector or efficient 2nd generation biofuels) will help understand what policies could mitigate adverse social or environmental impacts. The modeling is based on application of the Brazilian Land Use Model (BLUM) which translates national economic and energy projections into land use dynamics at microregional scale (550 microregions within Brazilian territory). CLIMA output will include future spatial distribution of relevant energy crops (sugarcane, soybean and oil palm) as well as that of other agricultural commodities and livestock, deforestation and GHG mitigation potential in land use in Brazil. Water for agriculture in Brazil is increasingly competing with different end-uses. This affects the irrigation potential for main biofuel crops such as sugarcane ethanol and soybean. Two recent examples: in São Paulo state, human consumption has been affected by a few severe droughts years, putting doubts about the potential for sugarcane irrigation in the region. And in Northeast Brazil’s dryland regions agricultural production and hydroelectricity generation has been severely compromised due to the worst drought in over 50 years. These water conflicts may increase as biofuel use increases and climate change impacts unfolds in the future. This research line estimates direct and indirect variations in water resources availability for 2-3 target basins (45,000 km2 to 60,000 km2) due to policy interventions, agricultural land choices and climatic impacts (e.g. variations in precipitation and temperature) in order to assess the water sustainability impact of biofuels. Ongoing work includes developing a hydrological watershed model and simulating future scenarios in two basins: Ivinhema in Mato Grosso do Sul, and Corrente in Bahia. Biofuel production affects not only the environment, but also important government strategies such as reducing poverty or maintaining the affordability of food for poor consumer families. In land-use modeling, these effects can usually not be assessed given the lack of integration with labor market models. CLIMA's aim is to assess macroeconomic feedbacks of land use policies on the Brazilian economy until 2030. For these calculations the Brazilian Land Use Model (BLUM) is linked to the Brazilian version of IMACLIM-S model, a hybrid CGE model that is able to discern macroeconomic impacts of climate and socioeconomic policies in Brazil. IMACLIM-S integrates sectors such as energy biofuels, transport, household income and unemployment. Income distribution effects and affordability of food in different policy scenarios are currently analyzed using Gini indices and simplified Lorenz curves for each scenario. Indigenous and local communities in many Brazilian regions are strongly affected by land use change, and those communities have their own interpretations on climate change and biofuels. Given their urgency these perceptions need to be understood and incorporated into research and policy recommendations, including in CLIMA. For this, a detailed review study on community perceptions in project target regions has been undertaken by the project team in order to understand the socioenvironmental consequences of biofuels expansion and climate change on rural livelihoods, land use change, and water resources. 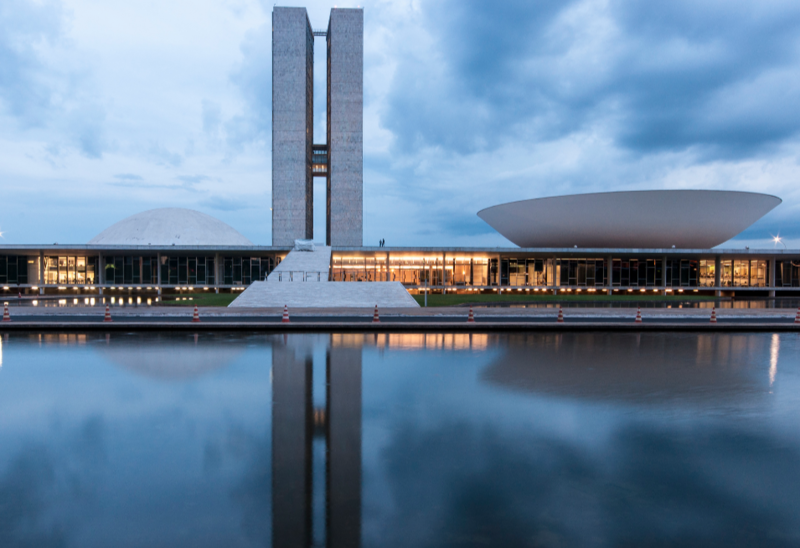 This review incorporates semi-structured interviews with key stakeholders and policymakers in Brasília and São Paulo, and is currently being prepared for wider publication. Together with the School of Natural Resources and Environment of University of Michigan (USA) the CLIMA project is also now also engaged in a scoping study on adolescent’s perceptions on climatic change and the impacts it has on their subsistence, using drought-vulnerable communities in Northeast Brazil as example. This field-based research complements our review study is expected to be published in the second half of 2016. First, it is important to consider that trade-offs and synergies between environmental targets, agricultural and food policies, and water resources management are ‘real’ problems in Brazil, affecting also adaptation and mitigation planning. For example, without increasing efforts in restoration of degraded lands and investments into transport system efficiency (including public transport) we predict that food prices will rise overall until 2030, with negative impacts foreseen for poorer households in Brazil. Second, we find that there are adequate policy responses available to reduce potentially harmful impacts of biofuels expansion in Brazil. The country’s Intended Nationally Determined Contributions (iNDCs) are particularly relevant in this regard, as they (i) foresee a strong increase in use of biofuels to up to 18% of Brazil’s energy matrix by 2030, with strong technology development (including 2nd generation biofuels), and (ii) promote the large-scale adoption of sustainable land use and forestry management, including a zeroing in on illegal deforestation in the Brazilian Amazon and aiming to restore 12 million hectares of deforested and degraded forest lands until 2030. When simulating these iNDC components our results indicate that biofuels would not contribute significantly to pressures on deforestation (direct / indirect), food prices or water scarcity until 2030. Third, we find that until 2030 policy choices regarding land use and conservation tend to have larger impacts on the dynamics of the agricultural and biofuels sectors than climate change. In other words, the changes in climate patterns show relatively little effect on agricultural productivity. Nevertheless, there are some indications that changes in those trends begin to affect Brazil’s agricultural sector: areas suitable for sugarcane cultivation do show a productivity loss over time, which is reflected in an increasing water stress over the past 30 years. In summary, sustainable biofuels might be part of a transition to a low carbon economy, but would need clear policies to achieve sustainability goals. What continues to cause trouble in this respect is that there continues to be too little empirical evidence on the social and environmental consequences of biofuels expansion at local scale (traditional and indigenous communities included) - questions which are bound to increase in the international negotiations on biofuel sustainability and sustainability standards.